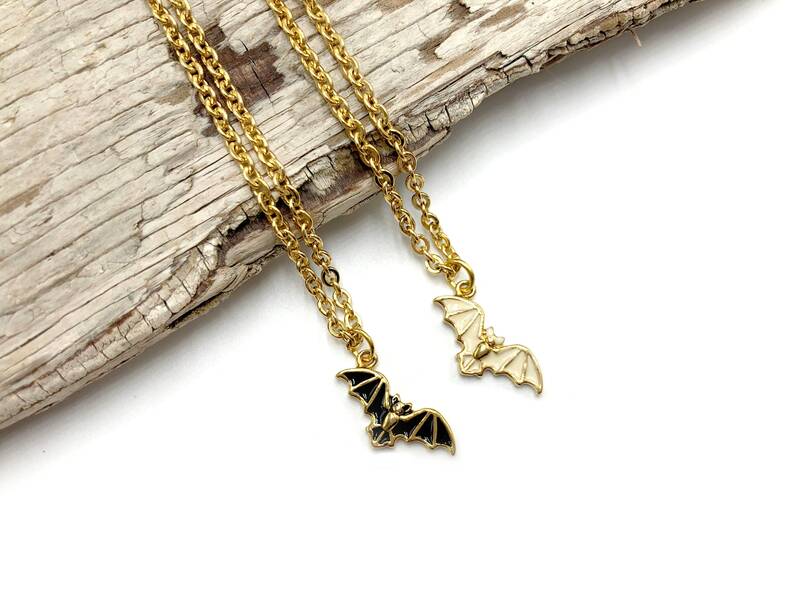 These absolutely adorable bat necklaces are perfect for layering. Lead and nickel free. Stainless steel gold tone tarnish resistant chain. 14'' long with 5" extender chain. Available in black and white resin.